Fashion is many things. It is self-expression, big business, trend-setting, a lifestyle choice. But however you see fashion, it relies on one simple characteristic: the incredible speed with which clothes make their journey from the drawing board to the High Street hanger. Fashion is fast. Fast fashion influences the types of garments we have in our wardrobes. It also describes the complex, multi-national supply chain that links the shirt on your back to the crowded, creaking factories in the world’s slums where clothes are made by a workforce numbering in the tens of millions. The manufacturing pressures that come from our deep love of incredibly cheap, incredibly current fashions were shot to global attention in 2013 when the Rana Plaza building in Dhaka, Bangladesh's capital city, collapsed in a cascade of tumbling rubble, twisted metal and trapped bodies. Over 1,100 people died, mainly young women. We Are What We Wear is the story of what happened in Bangladesh and how fast fashion has grown to become the giant that it is today. The intimate accounts from the survivors of the collapse are mixed with an exploration of the history of fast fashion and of how the High Street both fuels and satisfies our every fashion wish. 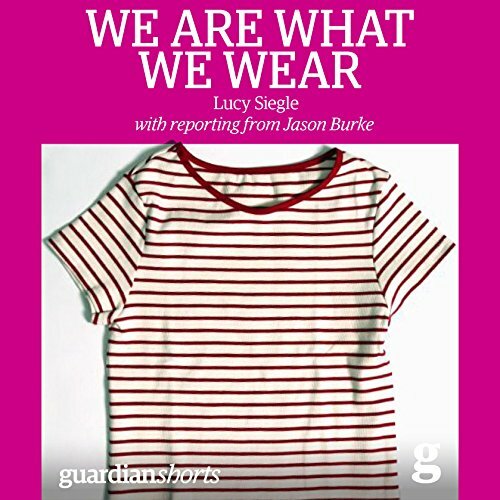 Award-winning reporter Jason Burke picks his way through the day of the collapse, while fashion and consumer expert Lucy Siegle looks at what has happened since - and what needs to happen next. ©2014 Lucy Siegle, The Guardian (P)2014 Audible, Inc. The content was quite interesting but unfortunately the narration completely ruined the experience for me. Tone was dull and machine-like, making the article really boring to listen to and the content difficult to focus on. My first purchase on Audible and disappointed.